The Secretary of HWEA’s Board Dr. Panagiotis Chaviaropoulos, President of iWind, has prepared a technical note titled “Estimating Reference Wind Technology Market Prices for the Greek Interconnected Power System in the period 2014-2017”. 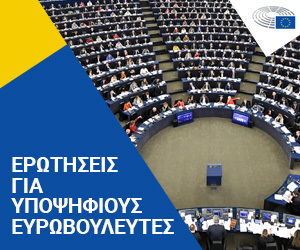 New wind projects in Greece governed by Law 4414/2016 will receive a premium in the form of a variable (sliding) premium on top of their income from the market. 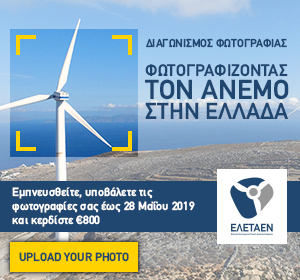 To calculate this premium one needs to know the so called Special Market Price of Wind Technology (in Greek Ειδική Τιμή Αναφοράς για την αιολική τεχνολογία-ΕΤΑ Αιολικής Τεχνολογίας). Such SMP_Wind values are not publicly available today but will be provided in the future by the Electricity System or Market Operators on a monthly basis. To make revenue projections for future wind farms using historical data, iWind has developed two alternative methods for estimating SMP_Wind monthly values, employing public data from LAGIE (the Greek Electricity Market Operator). These data refer to the interconnected system and comprise, among other, hourly values of Load and total RES production. The first method developed employs hourly values of a typical photovoltaic production year and estimates hourly wind production by subtracting solar from total RES, neglecting smaller contributions from other RES technologies. The second method, which is deemed more representative for wind, builds up a numerical network of wind farms spread over Greece according to RAE’s data and evaluates their total energy injected in the interconnected system using a grid of nearly 100 wind speed nodes over Greece from the MERRA2 reanalysis dataset.